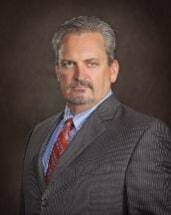 Located in Decatur, Texas, the Law Office of Mark Howell is a well-respected law firm with a reputation for providing outstanding legal representation to hundreds of clients throughout North Texas. Texans turn to attorney Mark Howell because they know he is experienced, accessible and compassionate. Whether you are struggling with the emotional turmoil of divorce or physical pain from a tragic accident resulting in criminal charges, you need to contact attorney Mark Howell. He will evaluate your case, explain your rights and make recommendations regarding important decisions you will need to make quickly. Fast action is important to avoid loss of your rights, loss of child custody, loss of your driver’s license, or possibly, the loss of your case. Mark Howell is a skilled lawyer who has a comprehensive understanding of case law, as well as the law of human nature. He knows when to negotiate with the opposition and when to dig in and aggressively litigate on your behalf. His goal is to protect your rights and win your case. He is passionate about protecting the rights of every citizen and has represented hundreds of clients who are struggling with divorce and other family law issues, criminal charges, DUI and drug charges, and personal injuries. You will be treated with respect and compassion, and you will not be judged, no matter what charges you are facing. We understand that anyone can find themselves in a bad situation. Attorney Mark Howell fights the charges filed against his clients by studying the prosecution's evidence to identify any violations that would call for reduction or dismissal of charges. Contact us immediately if you are facing a DUI, divorce, drug charges or if you have been issued traffic tickets for any driving offense. Even seemingly harmless tickets such as seat belt violations can result in points being added to your license. Accumulating too many points may result in loss of your driving privileges. The Law Office of Mark Howell is staffed by knowledgeable professionals, but your case will always be handled personally by attorney Mark Howell. We have helped hundreds of people throughout North Texas. Contact the Law Office of Mark Howell to schedule a consultation. He will take the time to answer your questions, explain the charges filed against you and make recommendations about how to achieve the best possible outcome for your case.